I bet you have been asking yourself: What am I hunting for? Well, I will give a a preview of the outfit I made for this ocassion. It is a little golden dress. Golden because this is the colours we decorate our christmas tree in, we wrap our presents in and angels are shown a lot in gold too. So I called this outfit is the Golden Times. Yes, we are so proud. Yes, we dare to be different. 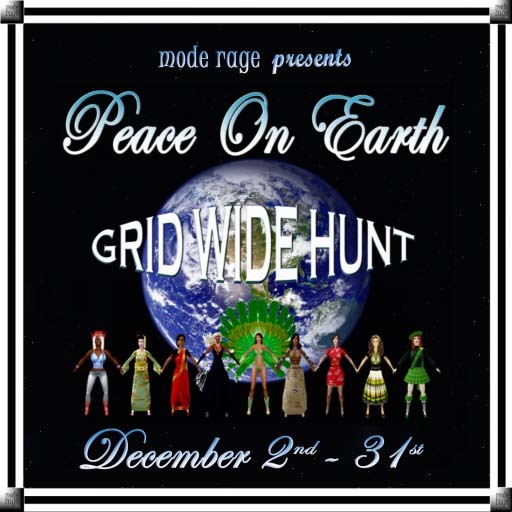 And yes, we are taking part in the Peace on earth hunt. We are going to post our freebies tomorrow. We want you to know what you are hunting for.